Visual Studio 2011 developer preview introduced numbers of new features with IDE. Along with all other features, you will find a small and nice enhancement in solution explorer for file renaming. 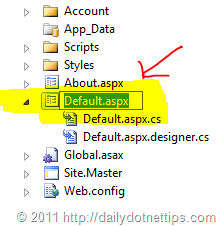 Prior to Visual Studio 2010, if you want to rename a file in solution explorer ( Either pressing F2 or selecting “Rename” from Context menu” ) visual studio selects the complete set of file name along with extension. Now, if you want to rename the file, either you need to manually deselect the extension part or need to type the extension again along with file name. 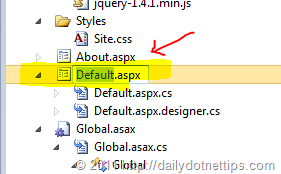 In case of new Visual Studio 2011 developer preview IDE if you want to rename the file name, it will only select the file name part, not the extension part.